Could you imagine walking along and stumbling on a rock? 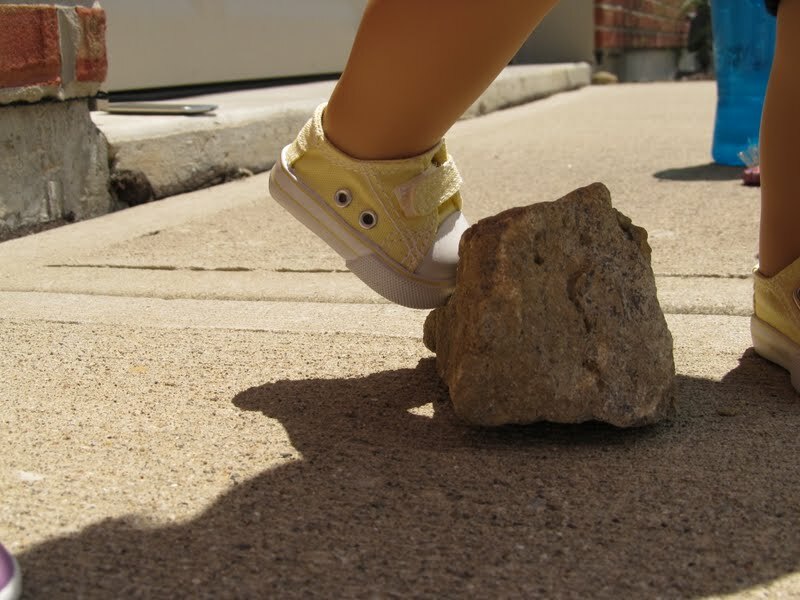 But when you picked it up it didn’t weigh very much. What kind of rock could this be? Why doesn’t it weigh very much? Well I am here to tell you all about Geodes that would be the rock you stumbled on. 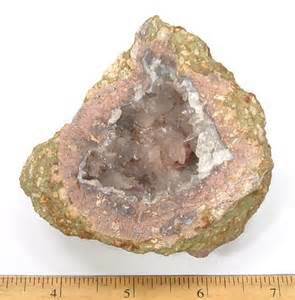 A geode is a gas bubble that formed in a volcano or in lava. Over hundreds of years mineral seep into the gas bubble and form crystals inside. There are many types of geodes and each one is unique. There will never be two identical geodes. Inside of each geode you will find many different variations. Depending on where you find your geode will determine what will be inside. Here at Gold Rush we have three different kinds of geodes to choose from. We have Las Choyas Geodes, Candy Apple Geodes and Moroccan Geodes. Las Choyas geodes are also known as coconut geodes. These geodes can be hollow or even solid. Inside these geodes can be Smokey quartz, clear quartz, and if you are really lucky it can have amethyst inside. That doesn’t happen very often. These geodes might even have a secondary mineral or formation inside. You can find these geodes in Mexico. Candy Apple Geodes have a unique red ring around the inside of the geode. That is how it got its name. These geodes can be found in Mexico. 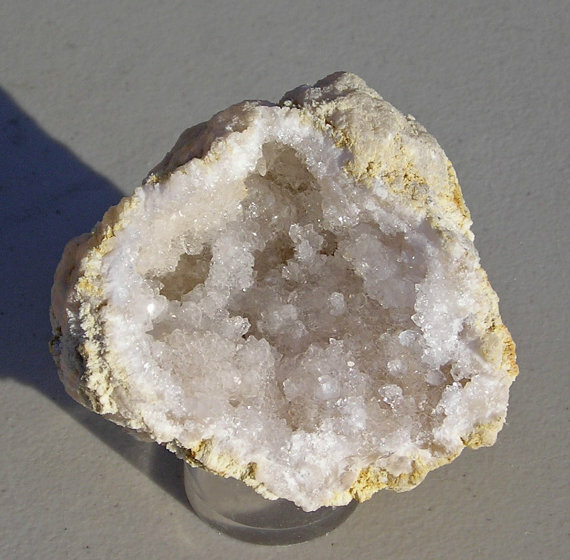 Moroccan Geodes come in all sizes, but 99% of the time they are going to have clear crystals inside. These ones can be very light and those will be very hollow and have crystals formed to the inside of the rock. They can also be very heavy meaning the crystals have solidified inside. Both are very pretty. Here at Gold Rush we have all three geodes that I have mentioned above. Our geodes start at $3 and can go all the way up to $265 depending on the type you want to take home. We have a machine here at our shop that you can actually break open your geode here with us. So if you are looking for an adventure, stop on by and break open a geode.